The Townhouse, Tunbridge Wells was founded in 2012. Our concept is to deliver amazing wines, spirits and cocktails coupled with tasty charcuterie boards and delicious individual tapas dishes. We serve food all day with lunch time specials and our evenings roll into a cool and sophisticated wine bar atmosphere serving fantastic food, from our unique charcuterie boards to the best Tapas in Town and speciality dishes like our home made Paella and signature Tacos. Food orders are taken up until 10pm with late bar hours over the weekend period. 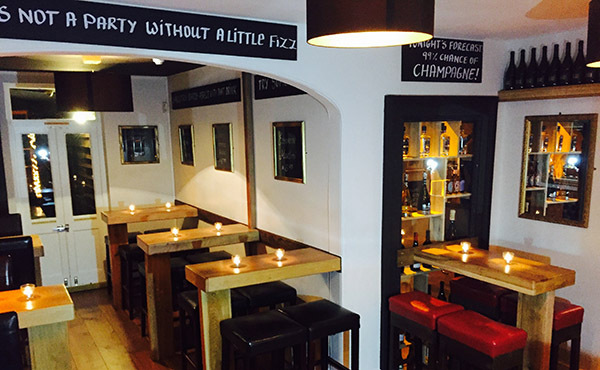 La Bodega is our new Jewel in the crown. This is a totally unique basement Cellar Bar and Private function area. La Bodega comes to life from Wednesday to Saturday with live events scheduled and our resident Dj playing (see our events page). The drinks menu is very extensive, with the finest brands coupled with great champagnes and of course a stunning choice of wine. Food is also available in La Bodega and we have catering packages available for group bookings. The Townhouse is divided into 4 different zones, carefully curated to give you the finest mix of dining, drinking and entertainment. As you walk into the Townhouse, you are greeted with a smile as you enter our main bar. Here you can stand or sit casually and enjoy the atmosphere, normally busy and very full of life as the weekend approaches. Off to the side of the bar is a very cool and relaxed seating area on high and low tables. The whole theme is relaxed and smart casual.. The Gallery room is located on our first floor with its own private bar. It is always best to book at the weekends as this is a popular area for dinning and cocktails. The Gallery is also available for private functions and has quite a reputation for holding all kinds of events.. 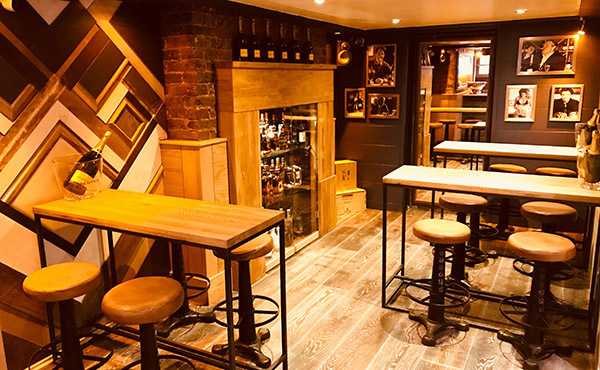 This is the latest addition to the Townhouse areas, a very cool Arty Cellar Bar located in our basement, with its own separate entrance at the front of the building. Cocktails, amazing wines, spirits and champagnes are served and food is available with the Bodega Menu. Check our opening times. Our Garden is quite unique in the Town and incredibly popular in the warmer months. However it is open all year round for the hardy outdoor crowd. We carry out a full table service and we serve food during the same hours as our indoor areas. We have comfortable seating and large tables, with sunny and shaded areas available. Explore The Townhouse yourself by clicking on the interactive Google Tour below! Head inside and have a look around.